We designed a unique wildlife safari model for viewing wildlife particular to the flood plains of Bengal. In the swamps, the fishing cat is the top predator and the local people rightly call it the Tiger that eats Fish MACH BAGHA. 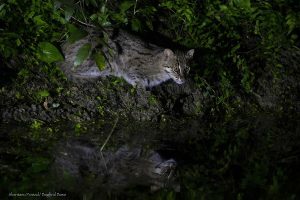 Our fishing cat safaris are conducted in the dark hours, between dusk and dawn. 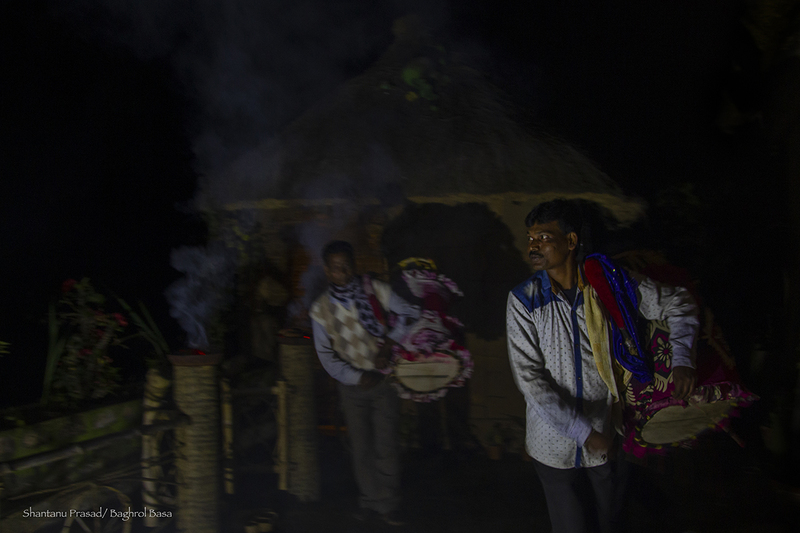 Guests rest during the day and will have the opportunity to enjoy the cultural experiences. After dinner, we set off in a ToTo a battery-operated vehicle and use spotlights to see nocturnal animals. Be prepared for a bit of walking and sitting in hides too. Our staffs regularly look for ideal wildlife viewing spots and place the hides in locations where there is a very high change of seeing the fishing cat from a close distance. 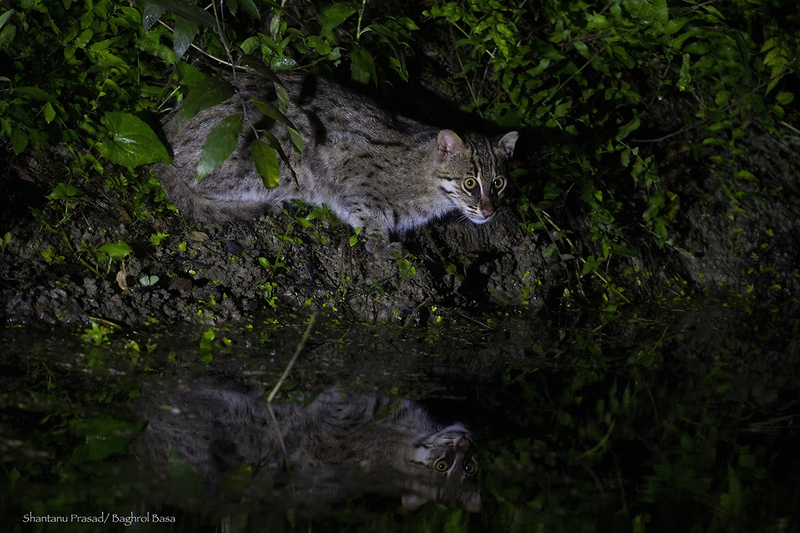 Fishing cat trips: Fishing cats have adapted to a life around humans in this landscape. We offer a unique opportunity to see this rare human-wildlife coexistence. We recommend at least 4 days (3 nights) to maximise your chances of seeing the fishing cat and to get acquainted with the watery world in which the fishing cat and other wildlife live. With this itinerary you can also cover the cultural and heritage experiences too. 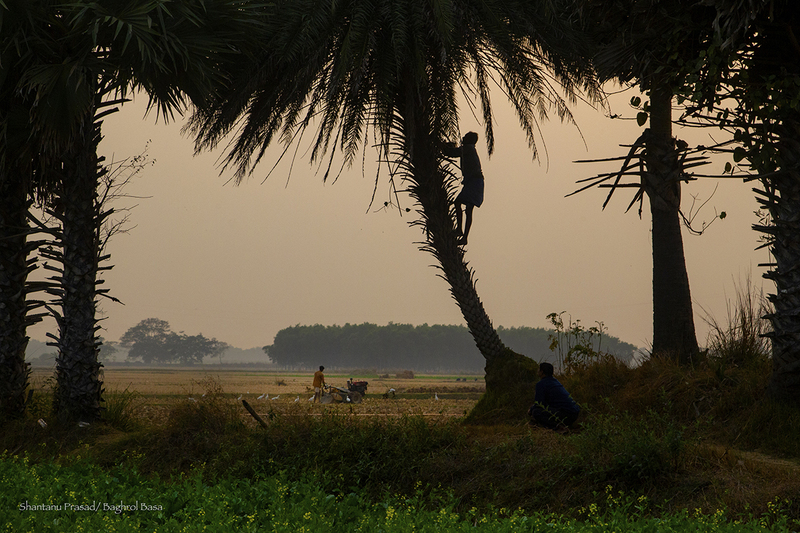 Experience the unique village life of Damodar Flood Plains.For a complete experience of the many things this unique landscape has to offer we recommend at least 2 nights stay. This duration is very good for exploring the village life, the very fertile farmlands & the organic local Food. 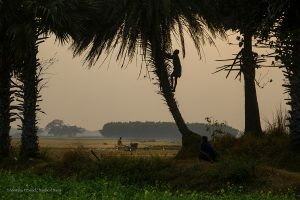 Cultural and Heritage trips: Village life in the Damodar flood plains is rich and diverse. 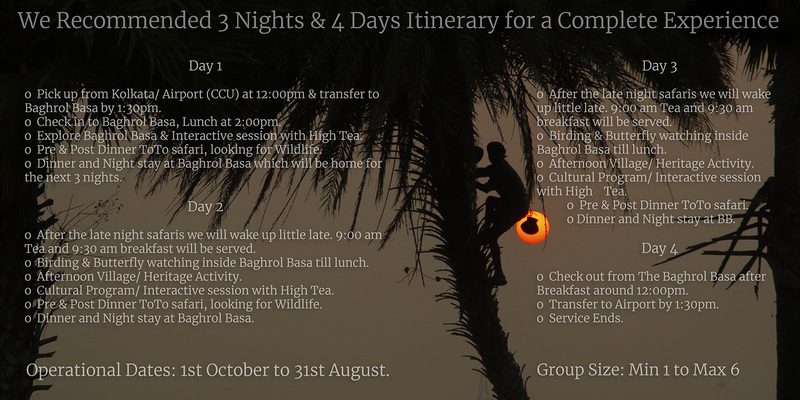 For a fulfilling experience we recommend at least 3 days (2 nights) trip. 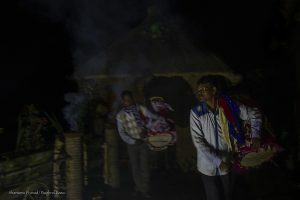 With adequate time on your hands, you can experience, village life in action, local organic cuisine music and dance and go back with a good understanding of how the flood waters shape everyday life in this landscape. Baghrol meaning fishing cat in Bengali and Basa means nest or house. As the name suggests, Baghrol Basa is a home in the swamps just like a fishing cats nest.